The Sonosite SonoHeart Elite ultrasound gives you the ability to perform an accurate, quality echocardiogram virtually anywhere. With optimal portability, the SonoHeart Elite ultrasound weighs less than 6 pounds and includes a rechargeable, lithium battery for on-the-go, point-of-care, and bedside imaging solutions. 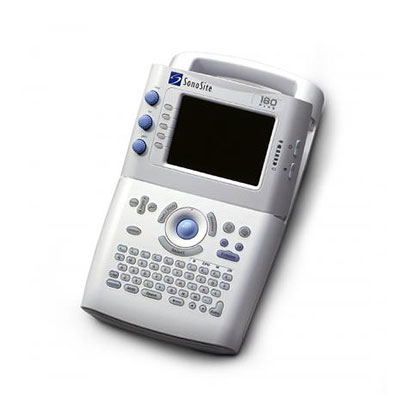 The Sonosite SonoHeart Elite ultrasound’s primary function is ECGs, and it can perform complete cardiovascular exams that previously had to be done by a full-size console system. However, it also includes performance enhancing features such as Continuous Wave Doppler, Pulsed Wave Doppler, 2D mode and Tissue Harmonic Imaging. This combination of imaging technologies makes the SonoHeart Elite capable of completing adult, pediatric, neonatal, and vascular imaging with all-digital quality.